Many companies resist jumping on the social bandwagon for fear of negative reactions being made so public. It’s true that things can and occasionally will go awry. But this will happen whether you are actively managing a social presence or not. Knowing how to identify a true social media crises and having an action plan in place will empower your social media team to handle it effectively and keep your brand reputation intact. The best place to start is to establish clear cut protocols for diagnosing and managing a crisis. Who is listening to the social web? Are they listening for queries, complaints or something else? Perhaps the most important: what are the hours of coverage? These questions should be clearly answered before a crisis erupts. Having a process in place to deal with feedback in social media is critically important. It allows your organization to deal with questions, comments, and complaints in a timely manner, and to keep communications flowing between all stakeholders. Perhaps one of the best models for a social media protocol comes not from communications, but from medicine. First responders and emergency room personnel triage incoming patients to determine the order and priority of emergency treatment, rationing treatment efficiently when resources are insufficient for all to be treated immediately. 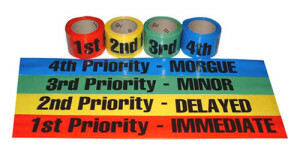 Simple triage tags rank injuries from minor to major by means of a color code. Serious, life-threatening injuries take priority over minor bumps and bruises. Customers love the real-time nature of social media and expect real-time responses from your company. Accurately identifying messages and queries that need a response from all the noise on social media and routing them to the appropriate team member are all important parts of a social media protocol. Helpful resource: Check out this fantastic example of response protocol from the United States Airforce. The first step in developing your response protocol is creating a triage plan that clearly identifies a crisis and weeds out non-crisis emergencies. A negative tweet or isolated customer complaint isn’t a crisis. They’re a natural byproduct of social media. Your company deals with customer queries and complaints on a daily basis through other communication channels like email and telephone. Social media simply affords an additional communication channel to your organization. Just like the emergency room example, create a rating scale that will be used to rate the level of crisis based upon business impact. One way to do that is to evaluate based upon customer impact. Does the situation affect one customer or many customers? Another option is to evaluate based upon revenue impact. Does the situation impact revenue, yes or no? If so, how much? Under $5,000 or over $5,000? Choose a revenue benchmark that makes sense for your business. Providing the social triage team with clear parameters for evaluating the true existence of a crisis versus a customer service issue helps to route and respond accordingly. It also helps to create parameters for reevaluating as the situation unfolds. While you want to include criteria for rating a situation to determine if a crisis exists, there are three characteristics that undoubtedly should start triggering an alarm somewhere and need to be included in any kind of crisis response protocol you develop. When these happen, you know you’re in crisis mode and need to respond quickly to avert an all-out disaster. Someone knows something you don’t. News breaks around us all the time and social media accelerates the rate at which it spreads. By the time it reaches you, it’s old news in the world of social media. When Captain Sully successfully landed US Airways Flight 1549 in the Hudson River, witnesses started posting photos almost immediately – before the airline even knew what had happened. Social media puts users at the leading edge of breaking news. If your customers or the public has information before the company, a swift escalation is important to get in-front of the situation as fast as possible. Your protocol should include a quick escalation path based on the type of information and the impact, so front-line responders can quickly get the information in the right person’s hands and respond accordingly. A change from the norm – in a significant way. If your company typically gets positive brand mentions, but a sudden shift towards negative sentiment happens, something is most certainly amiss. Creating thresholds for fluctuations in sentiment combined with volumes of mentions helps a front-line responder quickly identify the appropriate escalation level when documented in a decision making tree like the one used by the United States Air Force. Scope and scale of material impact. Social conversations about an event that could have material impact on the company should be taken very seriously and treated with special care. The Deepwater Horizon/BP oil rig disaster resulted in the loss of human life and ecological damage. Social conversations escalated quickly. Including a measure of scope and scale of business impact is critical for front-line responders. The lesson here is that you understand what crisis actually looks like on the social web – and how to deal with it appropriately. Create a crisis flowchart that specifies exactly who in your organization should be contacted in different scenarios. Include rating scales for the scenarios above and what levels indicate a crisis versus those that can be immediately handled on the front line. Your senior customer service response team isn’t going to be called in to address national media and the CEO isn’t going to handle front-line customer complaints. Crisis Hits – Now What? 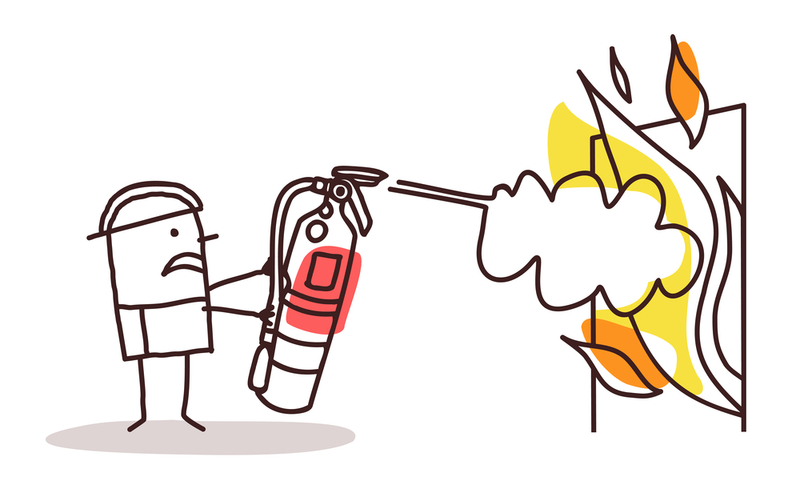 You’ve formulated the response plan and done all the scenario training, but what should your response protocol include when you’ve got a bonafide crisis on your hands? Respond where the crisis broke. If the crisis broke on Facebook, don’t take to Twitter to respond. Your social media team should establish a presence on every social outpost, if only to resolve conflict. Speed matters in de-escalating a situation. We recommend setting up social accounts before you need them on the major networks, but you can also include the protocol for setting up a new channel if needed. Be sorry – and mean it. Mistakes happen and people are, in general, forgiving. Admit the wrong openly and without reservation. Include a policy for how you will apologize and include samples of the appropriate tone and language to give a framework for front-line responders. It helps to ease tensions in the heat of the situation to think about scenarios up-front that can be a starting point. Build a platform that you control. 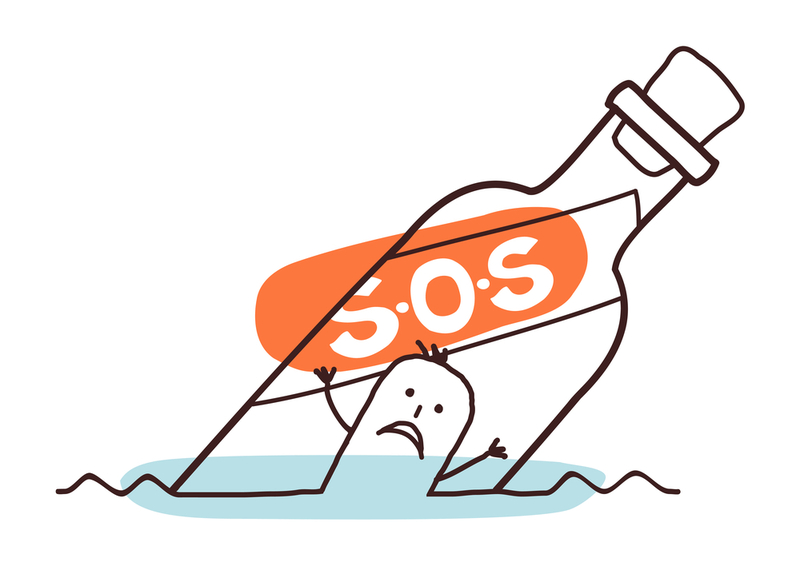 A microsite, forum, or even your Facebook page will get active during a crisis. People will want answers and they’ll vent their frustrations openly. This is good. It will provide your team a record of how conversations evolve by keeping them in a single venue as well as give valued customers and brand advocates a place to come to your aid. Even if you feel you’ve already responded to an issue, reply to those airing their concerns. Consider creating a blog post, video or other piece of content you can point people to rather than trying to respond to each person in-depth in multiple channels. Decide what online resources you have ahead of time and include them in your protocols so you can pick the ones that are best suited for the situation at hand. Know when to take it offline. Don’t become argumentative. Crisis management isn’t about winning. It’s about damage control, but it’s also a spectator sport. People will be watching to see how you respond. If a customer is persistently seeking recourse publicly, extend the olive branch and seek contact offline. Trust your team. Your employees are your best assets, so don’t keep them in the dark. Empower them to comment (when appropriate) or know where to direct inquires, especially if a reporter comes calling. Include contact information right on your protocol documents so in the midst of a crisis your front line employees don’t have to go looking for it. Learn from it. After the crisis subsides, take a step back and deconstruct the scenario. Document everything – every tweet, Facebook status, and email – and study how the crisis broke, evolved and subsided. What happened? Did the plan run smoothly? How well did your response protocol work? Did anyone outside the company come to your aid? Don’t forget to include an evaluation mechanism in your response protocol. It never fails that after the crisis subsides we forget to go back and adjust our protocols from the lessons we learned. No one wants to manage a crisis, but they’re going to happen. A social media crisis playbook can make all the difference in maintaining a positive brand perception. Rignite is a single platform for you to monitor your social networks for a potential crisis, and to coordinate the best response. Have you dealt with a social media crisis before? Do you have crisis response protocols in place? Does it include all of these pieces? Is there anything you would you add to this list? Please leave a comment and join the conversation!